Last weekend many of the national newspapers, as well as the BBC news bulletins on radio and television, all included strong articles warning about the perils associated with using teeth whitening kits purchased online or going to untrained and unlicensed staff in places such as beauty salons for the treatment. In the articles the journalists reported that Trading Standards officers have warned that bleach levels in some of these kits are up to 300 percent higher than the maximum legal limit for kits sold to the public. 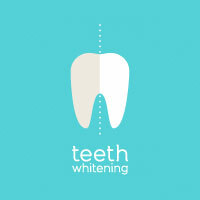 This is a subject that we have been warning about for quite some time because as the region’s leading teeth whitening dentist we have seen at first hand the devastating damage that strong bleaching can cause to teeth and gums. We have seen, for instance: mouth infections, blistering and burns to gums, damage to nerves and tooth enamel, and even gum shrinking. Last October it was reported that a woman lost her two front teeth after a botched teeth whitening by an unlicensed beautician. Many of the public are just not aware that it is unlawful for anyone except a registered dentist, a qualified dental hygienist, dental therapist or clinical dental technician to administer teeth whitening treatments. Beauty salons and such places offering these treatments, even if they claim to have been on a course, are illegal. They won’t be insured and they are not qualified or competent to provide these treatments. In other words they put you at risk. The Local Government Association is calling for tougher penalties on those selling dangerous kits and on unqualified teeth whitening practitioners. One council alone, Hillingdon in West London, has seized more than 15,000 dangerous teeth whitening kits that were destined for salons, shops and homes. One man, who sold teeth whitening products with peroxide levels up to 100 times the legal limit was jailed for 16 months. How the teeth whitening dentist can help you! For many years now Carisbrook dental has been recognised as the leading cosmetic dentistry in Manchester clinic and we can offer a number of different options among our teeth whitening treatments. These include Enlighten Teeth Whitening, one of the newest and most successful treatments on the market. We also offer Zoom Teeth Whitening where we can professionally bleach your teeth and get up to eight shades lighter than your original colour. If you prefer we can provide bespoke Home Whitening kits individually prepared for you. The important point to note is that all of our treatments are administered and overseen by highly qualified dental professionals. We cannot stress enough the dangers associated with DIY treatments using un-regulated kits bought online, on market stalls or over the counter. Neither can we emphasise how by going to an unregistered and illegal practitioner you could be putting your teeth, your mouth and your whole health at risk. So don’t risk it! Talk to Carisbrook, Manchester’s leading teeth whitening dentist, for expert advice, professional treatment, the best results, reassurance … and peace of mind. Call us now on 0161 952 7295 or use the online form on our Appointments page to book your free consultation.